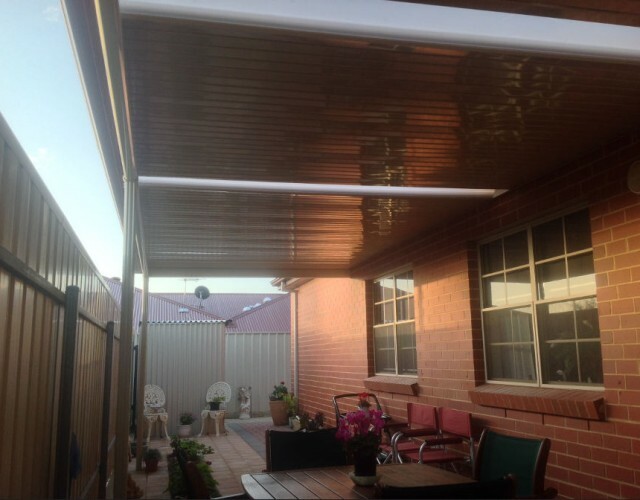 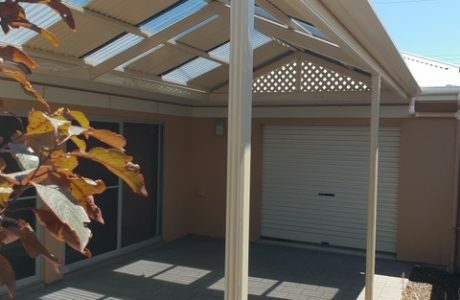 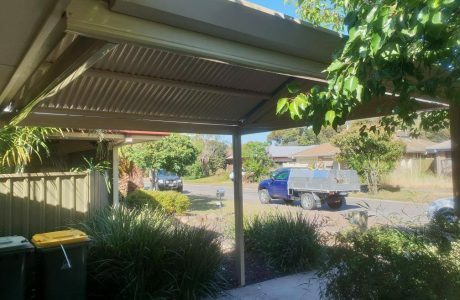 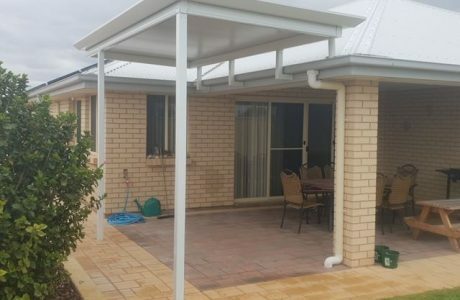 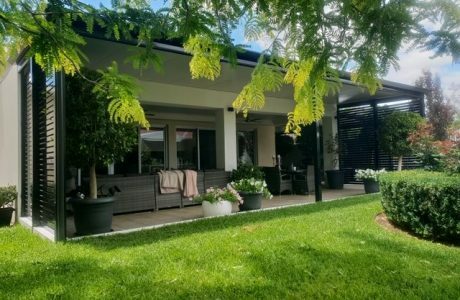 Flat Stratco outback verandahs are a fantastic and cost effective way to extend your outdoor living area. 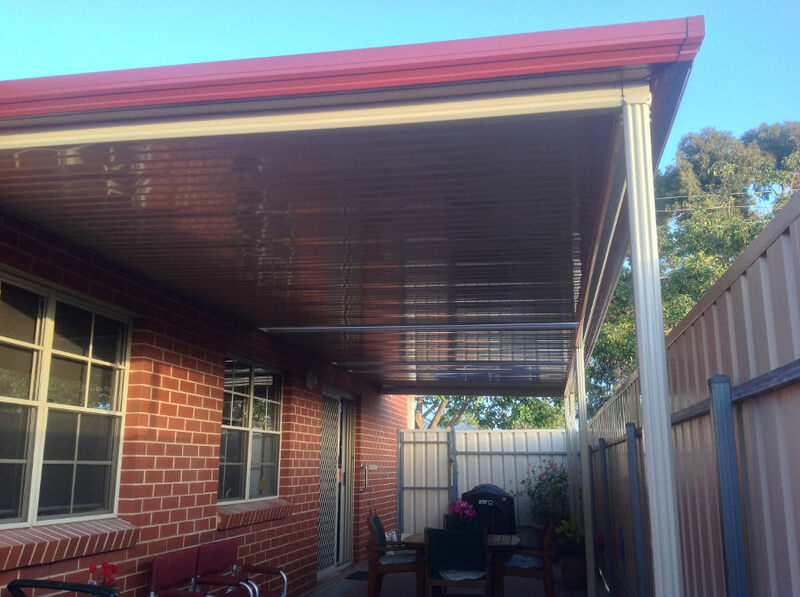 This project was recently completed in a retirement village in Adelaide. 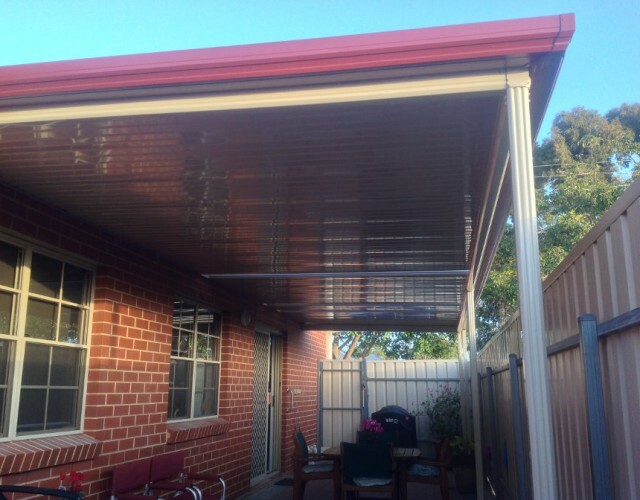 Heritage red gutters compliment the sand dune frame and roofing. 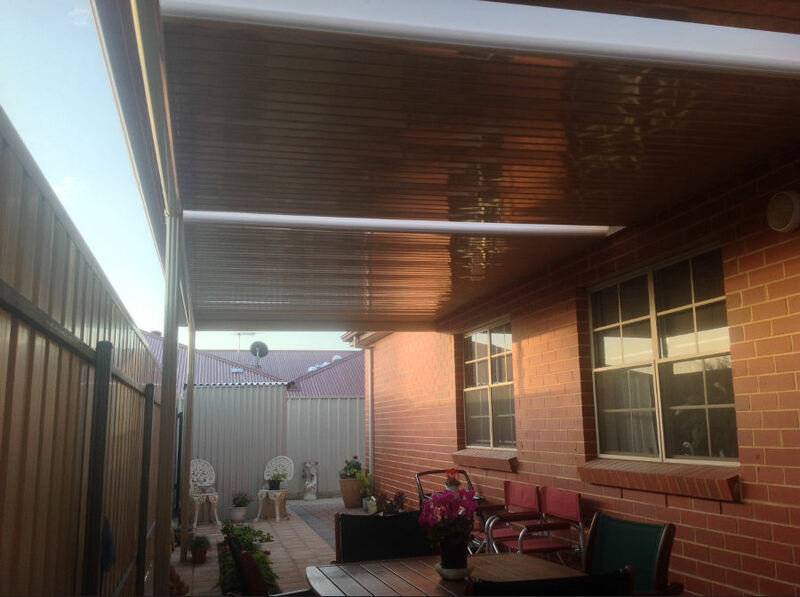 Outback roof lights were installed to allow natural light into the windows.